Old Town School of Folk Music will be rockin' February 9th at 11am & 2pm when Grammy nominee, Justin Roberts & The Not Ready for Nap Time Players come to town! JR is actually a Chicago boy, but as a kindie super star, he's on tour most of the time. Welcome him home Windy Kindie style and come rock out at his 2 local February shows. 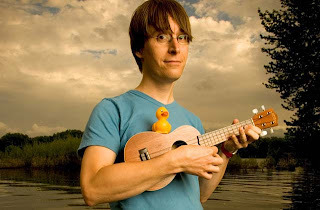 One of the coolest kids' musicians, Justin Roberts pens pop hooks that parents dig as much as their kids! ChiIL Out with ChiIL Mama. Click below for your chance to win a 4 pack of tickets to either show. Enter through midnight 2/5. *For more info, check out Justin Roberts main site here. *To order tickets, click the Old Town School site here. *Note-Another of ChiIL Mama's kindie favorite, Dreamtree Shakers, is playing Old Town on 3/23 at 11am. Click here for our past coverage including our original video interview with the band. Have you discovered Lullaby yet? Justin Roberts has managed to weave a magical masterpiece of sonic soul soothing and evocative images, without the annoying, saccharine sweetness that passes for many commercial lullaby albums. Here at ChiIL Mama, Lullaby makes our ChiILpicks list for some of the best mellow, family friendly music out there, for your littlest insomniacs. The whimsical Polar Bear track is our fav, but there's not a weak tune in the bunch. Highly recommended. “This album is a wonderful gift for anyone who needs some peaceful down time. 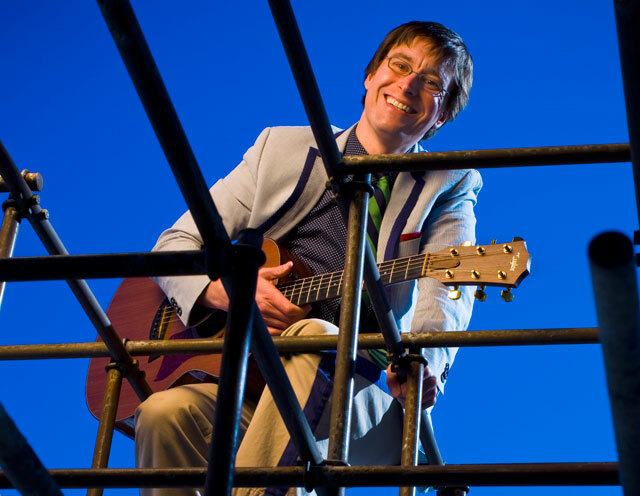 GRAMMY Nominee Justin Roberts releases his first collection of original nighttime songs for families on November 19th. Lullaby is for those wee small hours just before bedtime. These 10 new songs present an unusual mix of genres, including elegant moments of chamber music, snatches of ‘70s soft rock, and sleepy bossa nova and R&B grooves. The entrancing cover art of Lullaby was created by acclaimed illustrator Alison Jay (Welcome to the Zoo, ABC, Picture This). 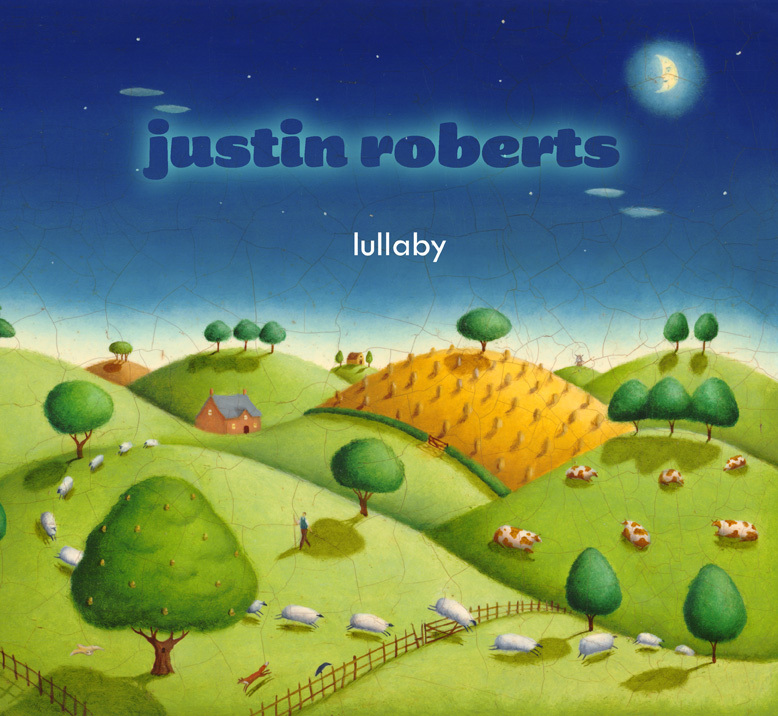 Justin Roberts composed and arranged all of the songs on Lullaby. Liam Davis, the multi-instrumentalist member of Roberts’ Not Ready for Naptime Players, produced and performed on the recording, which also features several members of the Chicago Symphony Orchestra playing strings, harp, English horn, oboe, and French horn. Additional guest artists are vocalists from the Chicago production of the musical Hairspray, and other members of the Not Ready for Naptime Players. Justin Roberts is a star of the indie family music scene. This Chicago based artist logs thousands of miles on the road each year while performing hundreds of concerts around North America. With numerous national awards (including six Parents’ Choice Gold awards), critical recognition from the likes of the New York Times, People and Time magazines, plus a devoted fan base, Justin and The Not Ready for Naptime Players dish out intelligent and whimsically rocking music for kids and their parents. Roberts won a GRAMMY nomination for his 2010 release Jungle Gym, and he’s recently authored a new picture book for children, to be published in 2013. Currently, he’s writing and recording songs for his next release, Recess, also due out in 2013. Lullaby was released nationally on November 19, 2012 (Carpet Square Records, distributed by MRI/Sony Music, $14.98 SRP).